Learn about marine off-load fuel storage tanks. This course is intended for mechanical and petroleum engineers, and other design and construction professionals wanting an introduction to atmospheric storage tanks for storage of petroleum fuels. 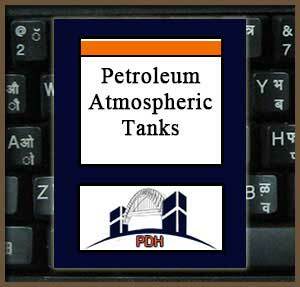 This course will give engineers and others an introduction to atmospheric tanks for storage of petroleum fuels. This is an introduction to equipment and facilities for atmospheric fuel storage tanks. After completion of this course you will have an understanding of equipment and methods employed in petroleum storage facilities utilizing atmospheric storage tanks.